The other day, when I was browsing inВ Anthropologie, a calendar caught my eye. Later, upon leaving the store, Mal, who was with me,В mentioned that she’d seen a calendar that seemed like something I’d post on this blog. How well she knows me (and my style)! That calendar is by Rifle Paper Co., a Florida-based stationary and design brand, and it’s called “Travel the World.”В Each month features a romantic, vintage-style illustration of an iconic place. 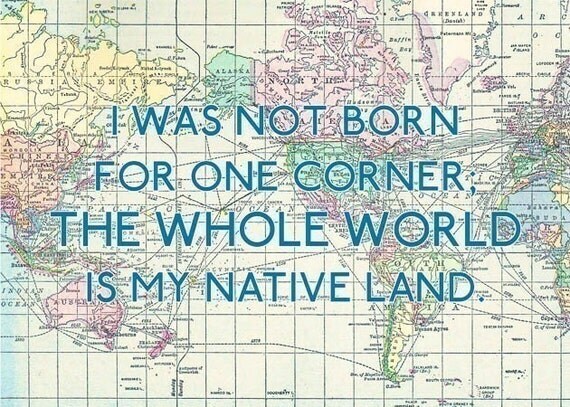 I’d love to have this in my work cube to brighten the space—and remind me of all the amazing places I’ve yet to visit. Have You Heard of Tuvalu? I hadn’t until today, when I read this article in the Times, about Tuvalu being the owner of the internet’s .tv domain. Um, can I go there now? Tuvalu, as it turns out, is located in the South Pacific, halfway between Australia and Hawaii. It’s comprised of nine atolls (coral reef islands), and measures in around 10 square miles, which makes it one of the world’s smallest countries. It’s also sparsely populated, with just over 10,000 residents. To me, the island seems a bit like paradise. The pace of life is slow, and most residents don’t pay rent. Instead, they live off the land, picking fruit and fishing to meet their needs. And just look at it! Here’s the tragic part, though: Tuvalu may not exist forever. The island is at serious risk of disappearing due to rising waters and climate change. Many inhabitants have already decamped to New Zealand. Aldo Crusher‘s illustrations just make me happy. The Mexico City-based artistВ has two gorgeousВ series, CosmГіpolisВ andВ CosmГіpolis Pt.2, where he depicts cities around the world in whimsical, colorful detail. IВ don’t think I need to say more about how awesome they are—the images speak for themselves. It’s been crazy cold and snowy for weeks, here in NYC! Even though the long slog doesn’t officially start until next Tuesday, I’m already feeling tons of fernweh. Escaping to somewhere warm and sunny would be amazing, though chilly and cozy would be pretty sweet, too. I just need a little break from my ice-crusted city! Does traveling just fuel your wanderlust? It does for me. 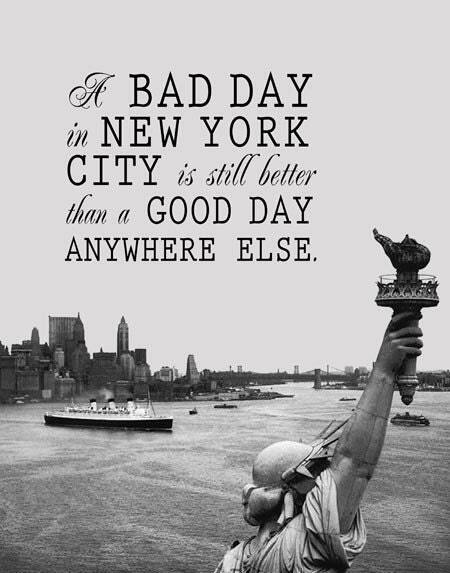 On one hand, there’s no place like home, and I’m usually okay with coming back to NYC. But on the flip side, there’s nothing like traveling. And spending time in places that are very different from NYC reminds me that there’s so much more to experience. It’s a big world out there. This weekend, I had a fabulous time at the shore. The house we rented was much newer and nicer than it appeared online (and in this promo video! ), and we had amazing beach weather almost every day. Plus, we grilled most of our meals and went out for the long-awaited blue crab dinner—two luxuries that are pretty rare in the city! It was so hard to leave—I wanted a few more days (or weeks) there. Maybe it’s because life has beenВ pretty insaneВ for the past few months, or because my last long trip—to Guatemala—was seven months ago. 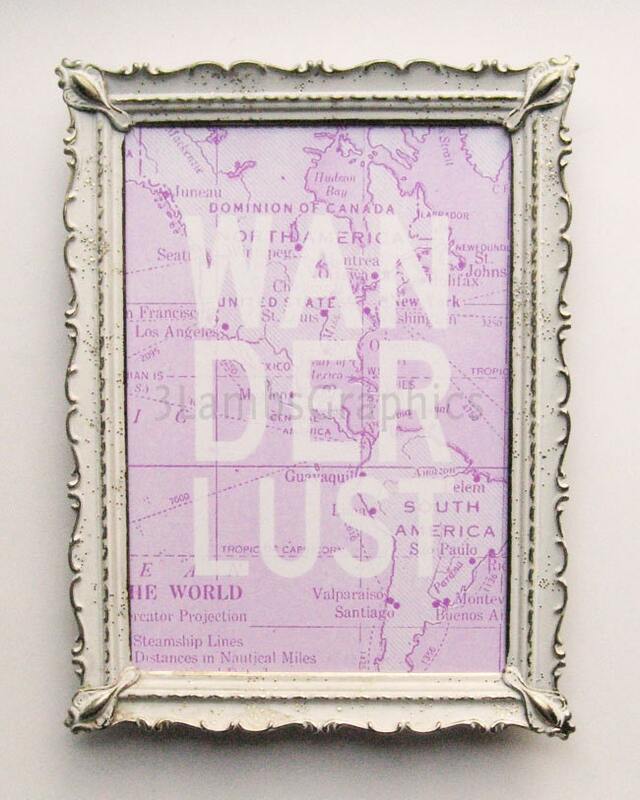 But I have a serious case of wanderlust. That’s why I’m coveting this necklace from Mary Beth Heishman, the Las Vegas-based artist behind the jewelry lineВ I Adorn U. I love its simplicity and the retro-vibe of the propellor plane—and, of course, the vision it conjures up in my mind, of taking a little prop plane to a sparsely populated island for a week or two! 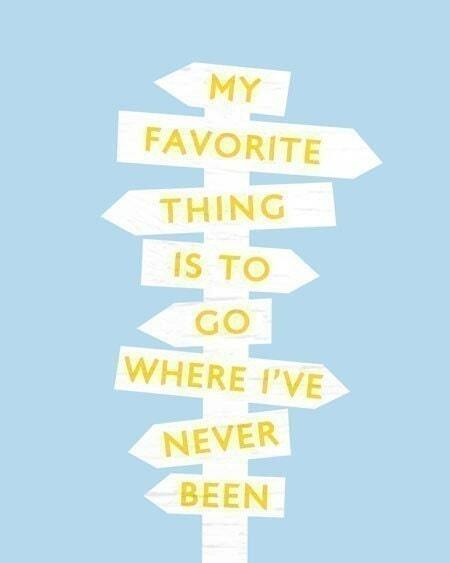 Do you have any trips planned soon? I’d love to hear about them! The other day, I was going down the Etsy rabbit hole and came across these travel-themed prints from 3 Lambs Illustrations. I love the sentiment of the quotes–I’m definitely of this mindset, these days. Check out even more prints at 3 Lambs Graphics’ Etsy shop.